Microsoft brought in $23.38 billion in revenue during the three months ending 30th June 2014. From that figure it made profits of $6.48 billion. The Nokia Devices and Services business, acquired on 25 April, had a negative impact on the financials, losing $692 million. However compared to last year's figures Microsoft still managed a positive seven per cent growth in profits. Looking at the company share value it has also done well over the last year, up by about 12 per cent. Wall Street had expected slightly better results from Microsoft in terms of its earnings per share figure. However in after hours trading MSFT shares have fared well, currently up by about 1.4 per cent. On balance this could be thanks to the beating of Wall Street revenue estimates and the restructuring plan currently in action. 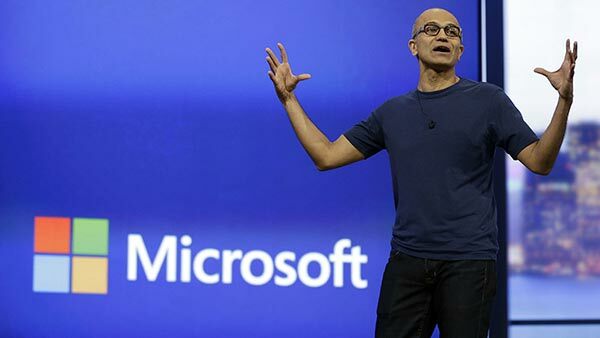 Microsoft CEO Satya Nadella outlined the direction in which Microsoft is now heading "We are galvanized around our core as a productivity and platform company for the mobile-first and cloud-first world, and we are driving growth with disciplined decisions, bold innovation, and focused execution," he said. The CEO went on to specifically highlight the progress of Microsoft's cloud business "I'm proud that our aggressive move to the cloud is paying off – our commercial cloud revenue doubled again this year to a $4.4 billion annual run rate." Lumia smartphone sales of 5.8 million units – mainly "devices at lower price points"
So how will Microsoft manage to turn its Phone Division into a success? We know that it has just initiated its biggest ever staff cuts, mainly from its newly acquired flock of Nokia people. That should make a big difference, visible in the next couple of quarters. Also there is talk that Microsoft will stop any work on the feature phone business and get more cheaper Lumias out there. With Intel and Dell both foreseeing an upturn in enterprise PC sales in 2015 Microsoft should also benefit from this refresh cycle, with stronger Windows and Office sales/subscriptions. Also there is talk that Microsoft will stop any work on the feature phone business and get more cheaper Lumias out there. Problem with that strategy - at least here in the UK - is that there's still a lot of the mobile providers who are focused on the old (2G) products with a lot of voice minutes and texts. Whereas I'd argue that if you're replacing a feature phone with a smartphone then you pretty much need some data allowance - say 100MB/month. Apart from that, dropping the Asha's etc would make a heck of a lot of sense to me. If MS want to do a low-end Lumia without any camera then I'd happily buy it to replace my current works feature phone (also a Nokia). Biggest problem though is that I assume that the Nokia brand won't be allowed to do tablets, which would be a shame. We've got a 2520 tablet here and it's better built than the Surface. I wonder how much of this is because of the strange design choices with the new models? Lots of people bought 520/620 phones, but the new models in that area of the range do little to improve upon those older models and in many ways are worse. Then there's the 930, which is a great phone but very expensive. The very first day these models were announced, all the comment boards for Windows Phone sites lit up saying the same things: “Why did they do this to the specs?”; “I'll wait to see a 730 or 830”; “If we don't hear something soon, I'll pick up an unlocked 2nd hand high-end Lumia”, etc. Disappointment festered for far too long before the phones were even available to buy. This was like anti-hype. I know because I've been keeping an eye in this myself - eBay traders have been doing a brisk trade in 9xx and 10xx Lumias, which are cheaper than ever and a better option. I can't say this is exactly why the division has lost so much money, but it doesn't help. Who knows, maybe if they'd shown a better new family, those losses might be significantly smaller. Throwing out a crappy Android phone before promptly killing it a la MeeGo certainly didn't help. Doesn't help when they try to sell you a Samsung/Android or iphone in the shops though does it?